Emily and family will be doing a band-aid drive for both VCU Medical Center (Emily's Home Hospital in VA) and Helen DeVos Childrens Hospital (Emily's oncologist in Grand Rapids, MI)! 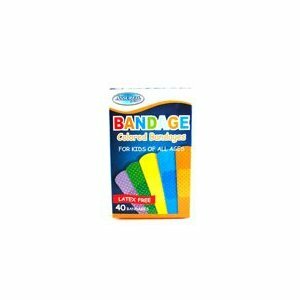 Both hospitals use band aids and go through them like crazy and they are only done off of donations from people like you and I!! 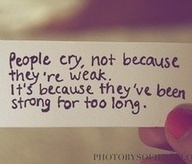 I can promise you that they go through lots of them! If you are local and would like to drop them off directly, please email me at shannon@emilyhubbel.com to get the address. 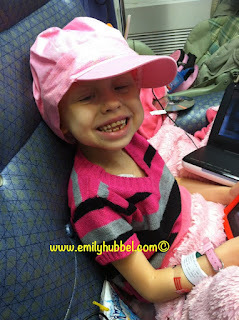 Emily will be going back to Michigan mid December for scans, so we would like to have all bandaid donations in by December 3, 2012 so that Emily can present them to VCU and to Helen DeVos. We will take pictures when they are presented so that everyone can see them. Thank you and please spread the word, all of your help is greatly appreciated and we thank you all so much for everything. It's been a long week in Michigan but these trips normally are long, but this one especially with the added 13 hour drive! We left Monday evening making a pit stop in Pittsburgh, our half way mark at Sue and Jojo's for a break and then back on the road to Grand Rapids! We ended up making it around dinner time Tuesday evening! Emily needed platelets Wednesday along with being accessed and the injection which makes for another long day along with sheer exhaustion! The nurse also showed me how to give a subcutaneous injection to an apple to learn how to do it so that I could give Emily her 14 days of GM-CSF shots that she will need! Thursday was the longest day with MIBG/CT fused scan and then meeting with Sholler! These are the days we dread with never knowing what the results will show! As always Emily does such an awesome job on her scans with not needing sedation in so long and hanging in for the long scan being completely still! We are so proud of her and being so strong! Mommy felt so bad because Emily doesn't like to put the video goggles on, so when the imaging is not over her head, I hold the iPad over to watch something thru the video! Well the strap broke and hit Emily in the head after having held it for 20 minutes leaving her with a nice bruise on her head, but through that she didn't move, just cried! I felt so bad, I wanted to cry for her and with her! Bad Mommy!! So results...we waited to meet with Dr Sholler again this morning to update because we wanted her to go over the final scan report from radiologist and also the review from the tumor board..stable! While last month we previously reported that Emily had 3 spots left of the 7, this was not accurate because results were given to us before the final read by the radiologist! While we really didn't want to take back what had already been posted about the 3 spots back from September and people feel we not know what we are talking about, this is also Emily's Journey through neuroblastoma, a childhood cancer, and one day we want her to be able to go back and be able to read this, so we feel the need to report what the scans final report showed! Emily needs to be able to read later in her life what was going on and we feel it is also important to us because we go back and read this from time to time!! Again the scans show stable with all 7 spots still there, some have a mild uptake from last scans, some have decreased uptake and others are unchanged! Right now her VMA is normal and her LDH is normal, so we take this with positivity and move forward! However we are always thinking ahead! Wanting to know what therapies are coming up and what should we do if antibodies doesn't work! So ahead we move...on to Monoclonal Antibodies CH14.18. 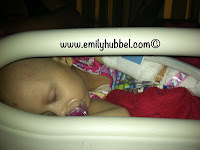 Monday being Emily's start date, admission to the PICU! We will monitor her HMA/VMA each month and see if they are going up, if they do plans may change (always thinking ahead). 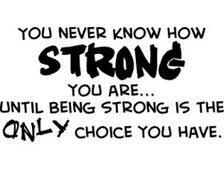 But for now we charge forward with our hearts saying this therapy is going to clear her, we know it! Scans will be scheduled at Helen DeVos in Grand Rapids after either round 2 or 3 of antibodies to see how things are going! Today Emily received her first dose of GM-CSF in the clinic, which mommy gave Emily her first shot! (ugh not sure i could cut out being a nurse, but i love being my kids nurse if they feel more comfortable) I was a little nervous but at the same time Emily seemed to have a different comfort of mommy giving the shot over the nurse! She sat in the nurses lap crying and the nurse walked me through it and mommy gave Emily her first shot! After it was over Emily said, "that didn't really hurt!" Emily always seems to amaze us, ALWAYS! Gave Emily a high 5 and a hug and she was off running down the hallway back to the playroom playing with the other girls in there! We should be home sometime tomorrow to pick up the GM-CSF from Buford Pharmacy and I will give her daily shots for the next 13 days! 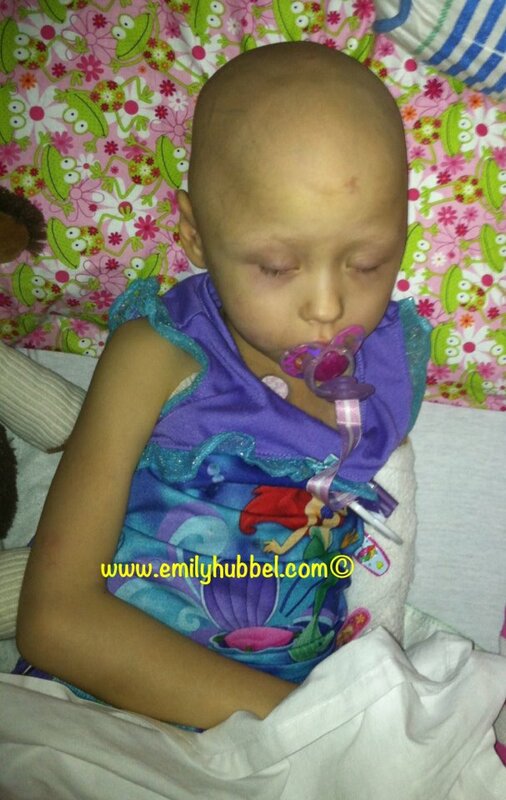 Please send your love and thoughts as Emily endures this next therapy! Monday they will determine if Emily's veins can handle a peripheral line to handle the therapy along with her port, if not Dad and I need to decide what to do (central line? Pic line? Or give her another portacath or remove the one she has and give her a double? Yes the decisions we must make) please also send your love and thoughts to dad and I as we go through this next therapy with Emily! We did get to meet up with Ezra's parents (Because of Ezra) Kyle and Robin Matthews while waiting to see Dr Sholler! While they didn't have time to film our story about Emily, we were still happy to meet up with them! They hope to make a trip to Virginia to film Emily's story, which would be awesome, as we would love to be part of their 800 stories of 800 children to spread awareness! 800 days is special to them because Ezra lived 800 days! Check out www.nomorenb.org and 800days.org! Kyle and Robin thank you for stopping in and meeting up with us, it was a pleasure to meet you! --We are still working on bags for newly diagnosed families beginning this journey into childhood cancer if you are interested in helping with this as well! Thank you reading our update! It was long, but thank you if you read all the way through it! Lots going on and coming up, but we are hanging in there! We are anxious about Monday, but we will get through this! I've tried several times this week to sit down and write, and seriously every time I go to sit down and write, it just gets harder and harder for me to write for some reason. I feel like my mind just wonders all over the place and I forget what I was doing or even what I was writing. This past week also consisted a lot of working with insurance to see if we could get the GM-CSF covered and anything else, and so far what we came up with, is that it would still be a co-pay that we would have to pay. 4 of the days will be covered by our health insurance since Emily will be inpatient during those 4 days, but the other 10 would have to go through our prescription benefits with a 20% co pay. There has been lots going on this week. 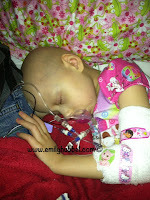 Emily had clinic twice this week, Monday and Thursday with both times needing transfusions. Earlier in the weed she needed platelets, but with the rate of her hemoglobin falling we knew came Thursday she would need a blood transfusion. Which by time Thursday came, she was a bit pale and she did new a blood transfusion. Her platelets were at 20, but to be on the safe side since she is still holding onto those 2 loose teeth and the possiblity of traveling, they went ahead and gave her platelets. Dr Gowda informed me on Thursday that Emily was approved to start antibodies by the FDA, which for us this is awesome news. The last thing that was awaiting approval was CTP or something like that, he explained this as where the IL2, CH14.18 and any other medications that would be neeeded while inpatient. This next type of therapy that Emily will be going into, and hopefully the last, is monoclonal antibody CH14.18. There are guidelines for this therapy (since it is a clinical trial) that states you must start this within 100 days of finishing radiation (because all of the patients in the clinical trial, the information is for research purposes), well because Emily finished radiation last year the first of November, and we learned she didn't qualify for antibodies, she was denied to start since it was considered last year she was progressing. Because she went over the 100 days, we requested for compassionate use of CH14.18, which Dr. Sholler and Dr Gowda worked on to get Emily approval for. Monoclonal antibodies is A chimeric mouse/human monoclonal antibody with potential antineoplastic activity. Monoclonal antibody Ch14.18 binds to the ganglioside GD2 and induces antibody-dependent cell-mediated cytotoxicity and complement-dependent cytotoxicity against GD2-expressing tumor cells. GD2 is overexpressed in malignant melanoma, neuroblastoma, osteosarcoma, and small cell carcinoma of the lung. Dr Gowda talked with me about this therapy and I had to sign the consent forms that would be sent off to CTP to prep the medication that would be needed for VCU. We walked through the consent forms and he went through the calendar, because we were trying to figure out when she would start, with the hopes of not being inpatient during Christmas or Thanksgiving. With a tentative date of October 15th date as of Emily starting Antibodies, she shouldn't hit Thanksgiving or Christmas, but would hit the New Years Day Holiday, but I think that we would be ok with that. 10/15/12: Round 1 (24 days) inpaatient on start of day 3 for 4-5 days with CH14.18 and 14 days of GM-CSF shots, that the ones done at home, mommy will have to give. She will also be on accutane for 14 days. 12/10/12: Round 3 (24 days) inpatient on start of day 59 for 4-5 days with CH14.18 and 14 days of GM-CSF shots, that the ones done at home, mommy will have to give. She will also be on accutane for 14 days. 2/4/13: Round 5 (24 days) inpatient on start of day 115 for 4-5 days with CH14.18 and 14 days of GM-CSF shots, that the ones done at home, mommy will have to give. She will also be on accutane for 14 days. As a parent, we have to admit, we are really nervous about this next therapy, but honestly with any therapy that Emily has been on we have always been nervous and worried about. We are thankful for our friends Sue and Jojo from PA, who are driving into town during the week of Emily's first inpatient stay to be of aid however they can help. Sue will help at home and be at bedside at the hospital wherever we need her. Jojo will be at the house. We thank you wonderful friends Sue and Jojo, for being such amazing friends and being by our side when we need you, THANK YOU. Sue thank you for offering to come and be by our side and help, this is definitly helpful for Doug when I stay with Emily inpatient, to help at home with Brianna or even be at the hospital. THANK YOU, Thank you for being such wonderful family to us. Dr Gowda explained this therapy causes a lot of pain, so Emily will be on a 24/7 morphine drip or fentanyl, and the pain should stop once the medicine stops. Her blood pressure could go up or down which could cause her to be placed on medicine to regulate it. This is the reason she will be in the PICU because she needs to be monitored and have nurses that only have 1 other patient. She could have high fevers, and whenever she has a fever, they continue to follow the protocol of doing cultures, however most of the time nothing grows on the cultures. He also explained, it is a 4 day stay, but that it could be longer depending on how Emily is doing, but it depends on how the doctor feels Emily is doing. We have done lots of reading on Emily's nexts steps, but instead of assuming what we have seen/read for others, it could be different for Emily. 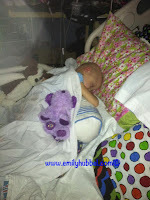 Every child is different, but we will be keeping everyone up to date on how Emily is doing as often as possible. So we received notification of scans next week, with the late notification of dates, we will be driving. These scans are really for us and the doctors to know where Emily's stands when she receives scans after round 3 or so of antibodies to see if the antibodies are working. While we are in Michigan, we will be meeting up with Robin and Kyle Matthews, Ezra's parents. Ezra also had NB, and passed away from aggressive NB. Ezra's parents started a website, www.nomorenb.org, and they would like to interview us and do a video. 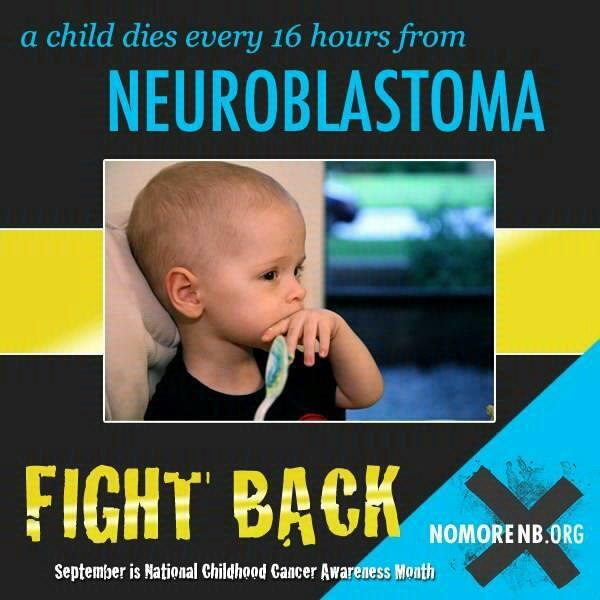 While we are nervous about videos, we want to spread the awareness of Neuroblastoma and make people more aware and we look forward to meeting another family! Thank you so much for the cards that Emily has received, they certainly bring a smile to her face. Today she received in the mail some mail from a 6 year old, Sydney who wants to be Emily's pen pal. 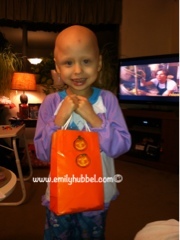 How exciting, Emily enjoyed the pictures she sent and looks forward to sending her a little something back. 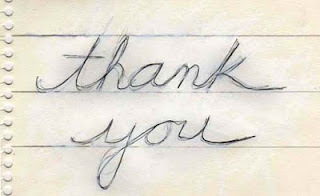 Thank you again to everyone who has been so kind and loving during our journey, it really means so much to us. Well, it is late and I need to get some rest, but I wanted to update and let you know where things stand. We will keep you up to date on our journey next week in Michigan with scans. We are still working on some things to get the antibodies started, but hopefully everything goes through ok and we don't have any issues. Remember to hug and kiss your kids and tell them how much you love them!! !